When I was in high school, a Computers class was fairly new. A year or two after I graduated, our family acquired our first. Things have changed tremendously since then. Our children have grown up with computers of all sorts part of their daily lives. 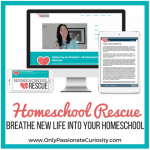 CompuScholar, Inc., formerly known as Homeschool Programming, has been known for years for offering programming courses to the homeschool community. A few years ago, we reviewed the then-brand-new KidCoder course (check out the review, but excuse the lack of screenshots as most photos were lost when the old blog was imported here). With our second experience with this computer science leader, reviewing the new Digital Savvy course, I am happy to say that the first impression holds up. With the new website, CompuScholar is able to deliver on their tagline, “Teaching Tomorrow’s Technology”. Even though our older girls have been using computers and their Kindles for years, their knowledge beyond specific tasks is lacking. They have no foundational skills or background knowledge of computers in general. They have no appreciation for how far things have come. 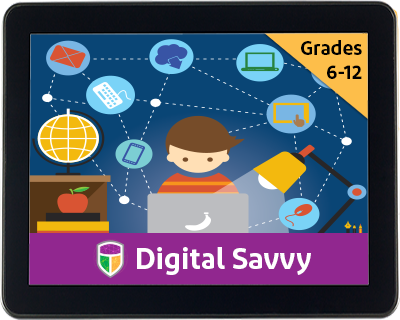 Digital Savvy expects basic skills such as mouse and keyboard use, but no other experience is needed. Even though this course begins with computer history and basic hardware and software explanations, it is not suitable for elementary users. While beginning with the beginning, it progresses quickly. A chapter is intended to last a full week ( 3 days of lessons, project and chapter exam), with short video instruction three days and a hands-on activity per week. My junior/senior high girls worked on this together, about 30 minutes per day. 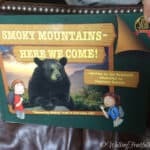 Most of the activities are set up for small group use, which worked well for our family. If you have a solo child working on this, you may wish to modify some weeks activities, participate yourself or leave as is but allow a little more time for completion. 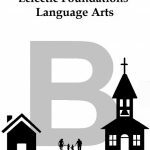 The course is intended for a full school year use with quizzes, tests and mid-term and final projects comprising a grade. The quizzes are graded through the course interface while the activities and projects, being more open-ended are left to the parent/teacher to score. I have been minimally involved, which is expected at this age, only answering the few questions that have come up related to the activities. And reviewing their project with them. Thus far the girls have learned computer history, hardware, software and some trouble shooting. Throughout the course, my girls will learn search engines, computer security, word processing, spreadsheets and presentations in the first semester. Things get more fun in the second semester with digital images, social media, web page design, links, programming concepts and career opportunities. Teamwork is emphasized throughout the projects, which this mama of many loves. Digital Savvy is the latest course from CompuScholar. Other Crew families also reviewed Web Design and Java Programming which is an AP course. Check out all the reviews by clicking the image below.